4200 PICKUP HEADS: At the end of the day, getting the job done is all that matters. The Massey Ferguson 4200 headers are equipped with a number of features to make sure windrowed crop makes it into the combine smoothly and efficiently. ULTRA-FLOAT SUSPENSION WITH FLOTATION TIRES: 4200 pickup heads feature spring and shock suspension system with large flotation tires mounted in line with front roller to keep teeth at a constant height in rolling field conditions, ensuring draper belts easily follow and feed a variety of windrows in different terrains. 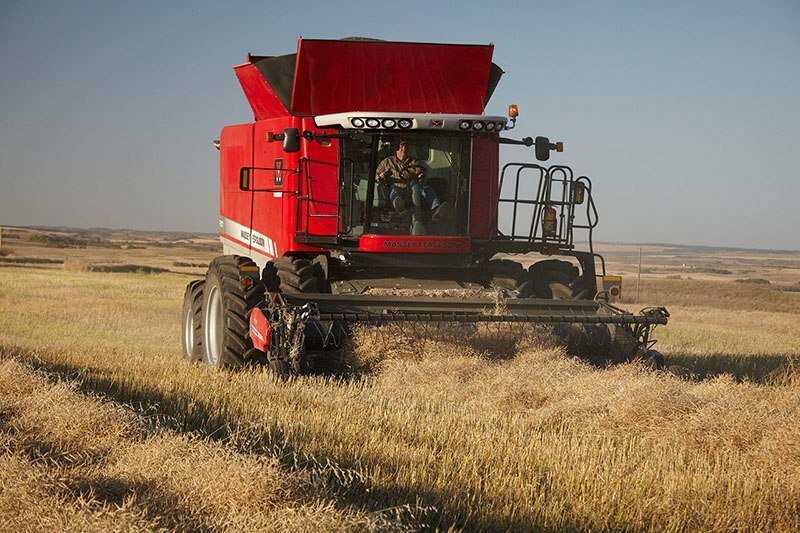 DRAPER BELTS: The 4200 pick-up header features large 26 in. (660 mm) cleated front and rear drapers that aid in reducing loss in easily shelled crops. The drapers are placed in such a way that there is no gap between them. 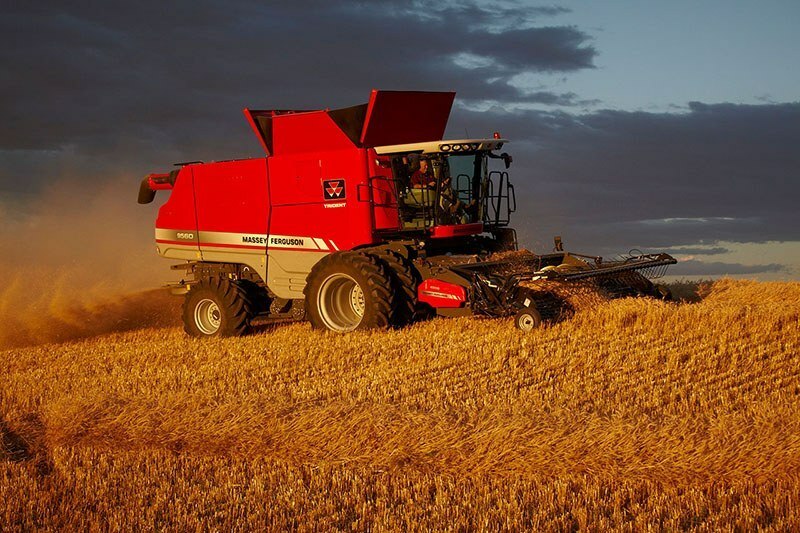 HYDRAULIC WINDGUARD: The advanced windguard and crop hold-down is easily raised and lowered by the combine hydraulic reel height control. The ability to quickly and easily adjust the windguard improves feeding and reduces crop rolling.